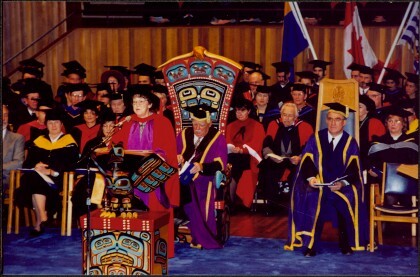 Photograph depicts Bridget Moran standing at podium on convocation stage in Victoria, B.C. Chancellor and others sit in background. Item is part of the Bridget Moran fonds. See also item 2008.3.3.1.16 for image featuring similar content.